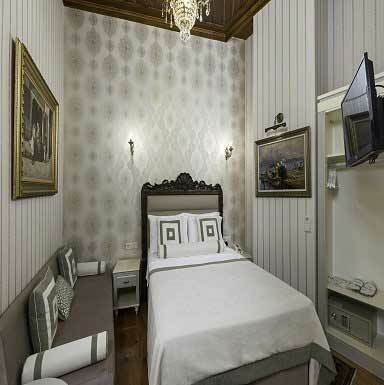 The Single rooms are about 12 m2 and there is only one Single bed in the Rooms. 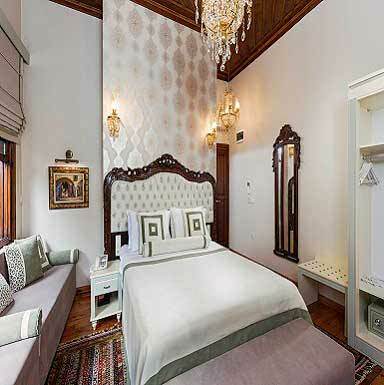 The Double rooms are about 16 m2 and there is one double bed or twin bed in the Rooms. Bu üç kişilik odada elektrikli su ısıtıcısı, klima ve minibar bulunmaktadır. 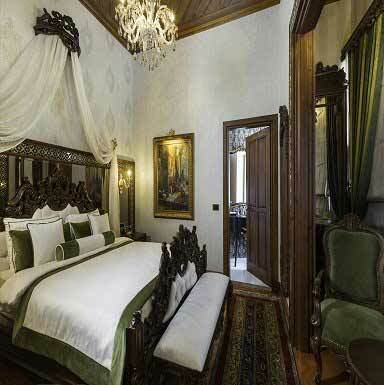 The Deluxe Suit is about 31 m2 and there is only one bed in the Room. The Junior suits are about 20 m2 and there is one double bed with Sofa in the Rooms. 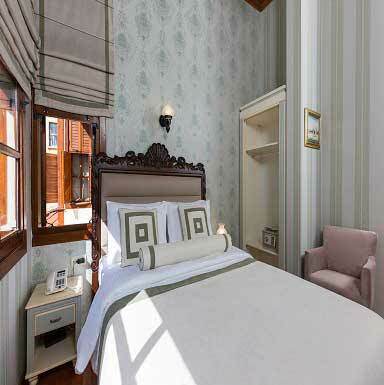 This charming hotel is located in Antalya Old Town. 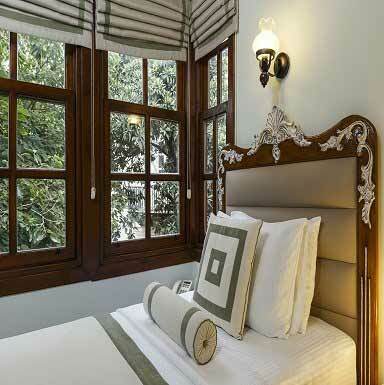 Just 200 meters from the city center, the hotel offers easy access to all attractions of this destination. The main entertainment venues can be easily reached from the hotel. The hotel is close to the city's main public transport. 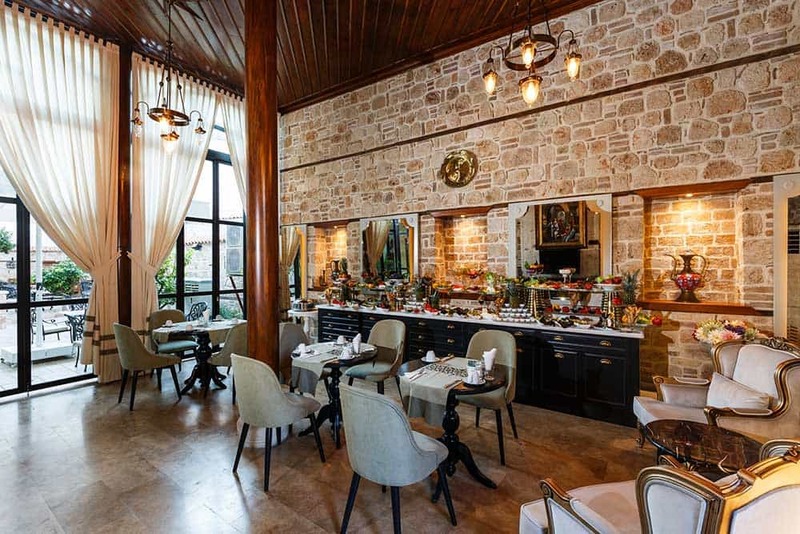 The hotel is 650 meters from the nearest Mermerli beach (entrance fee) and Old Harbour ( Marina ) of Antalya.1207 Boutique Hotel is 15. Km far away from the Antalya International Airport.This cozy accommodation guarantees a quiet stay, as it comprises only 15 guest rooms. This Hotel was inaugurated in 2015. Travelers can take advantage of Wi-Fi access throughout the hotel. Hotel 1207 has a 24-hour reception so guests are always welcome. Babycots are available on request. Some of the rooms at the Hotel 1207 are wheelchair accessible. 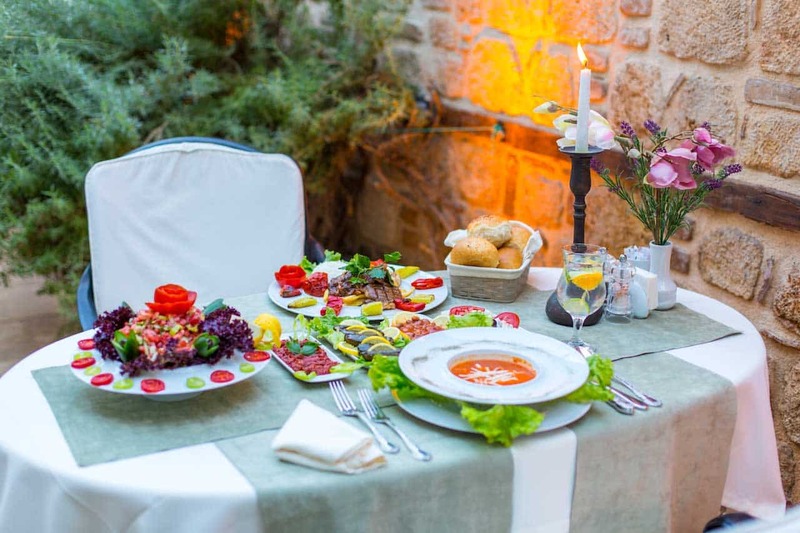 The travelers can enjoy a delicious Ala-carte menu in the restaurant of the hotel. Pets are not allowed at the 1207 Boutique Hotel. One-Way Airport Transfer is Free for 4 Night and Over Reservations !